In yesterday's posting I spoke about some of the reasons why I make my own yogurt. You can get to that posting by clicking, here. 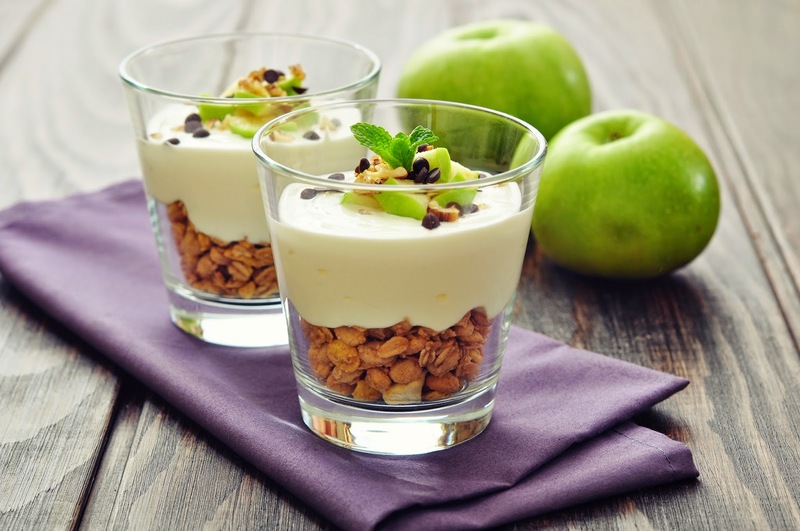 I also included links to a new study recently released by the Cornucopia Institute which compares all the commercially available yogurts for cultures, sugar content, additives and whether or not the yogurt is organic. You can find all this information in the Cornicopia Yogurt Buyer's Guide, here. And for the Executive Summary of their overall report called, Culture Wars, click here. This report is easy to read and very informative, well worth your time. Yogurt contains lots of healthy minerals your body needs along with a good dose of protein, making it a healthy snack. Yogurt helps regulate insulin production. Yogurt helps with weight loss. Yogurt helps keep the balance of microorganisms in the gut in check. Healthy gut bacteria equals a healthy immune system. Yogurt may help prevent osteoporosis. Equipment Needs-- It's actually very easy to make yogurt and you don't really need any special equipment. 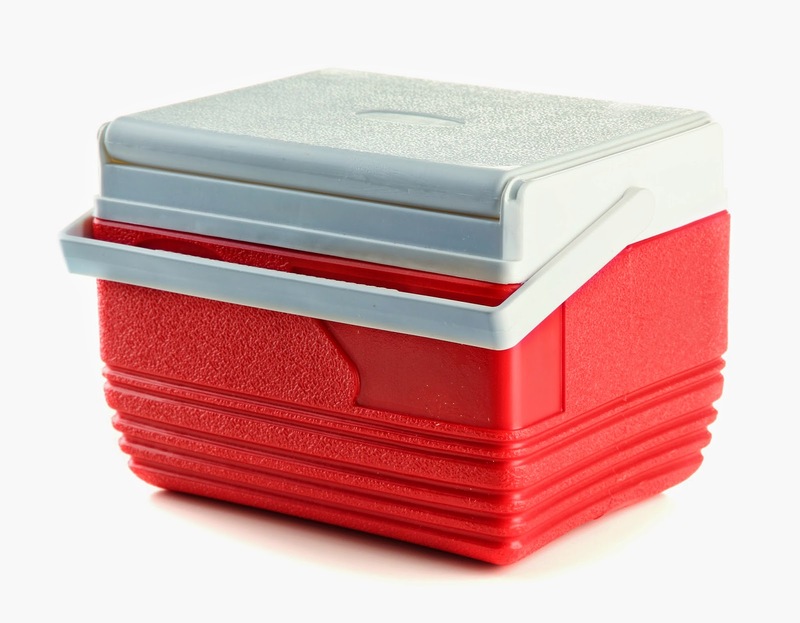 If you don't have a yogurt machine you'll need a plain old everyday insulated picnic cooler. Doesn't everybody have one of these laying around somewhere? Since a picnic cooler can be bulky to have sitting in the middle of your kitchen, you might ultimately prefer to purchase a small yogurt maker. But it is not at all necessary and, in fact, I have better luck making yogurt with a cooler than I do with my machine. You'll need one other essential item, a food thermometer. For yogurt I like the touch thermometers. The milk you'll be using to make your yogurt must be heated in order to provide a nice toasty warm environment to get the cultures actively multiplying. However, you cannot allow the temperature to rise much above 110 degrees, which is why you need the thermometer. The live cultures in yogurt will be killed off by the time the heat reads 120 degrees and you don't want that. Raw vs. Regular Milk-- Raw is far superior to regular milk if you can get it. Many states outlaw the sale of raw milk. Where I live, in California, it is available, so I always use it, of course. Raw milk comes right out of the cow with hundreds of individual strains of probiotics intact. In commercial production, when that milk is heated in the pasteurization process, the probiotic organisms are killed off. Yogurt manufacturers then add in a small handful of beneficial strains back into the product, but nowhere near the variety of helpful organisms provided in natural raw milk. We want those live strains to be actually living so we will be very careful not to heat it to a high temperature, or pasteurize it. The raw milk I am able to buy here in California is both organic and grass-fed. It comes from small family dairies, of course. I'm assuming that's the way with raw milk across the country, but if you should happen to find yourself faced with a choice, choose grass fed and organic, of course. After all, you want the cows with the healthiest gut bacteria and you're going to find just that with pastured animals. Cleanliness is Important with Live Culturing-- You're going to be growing cultures in your milk so you want to be sure not to introduce any bad bacterias. 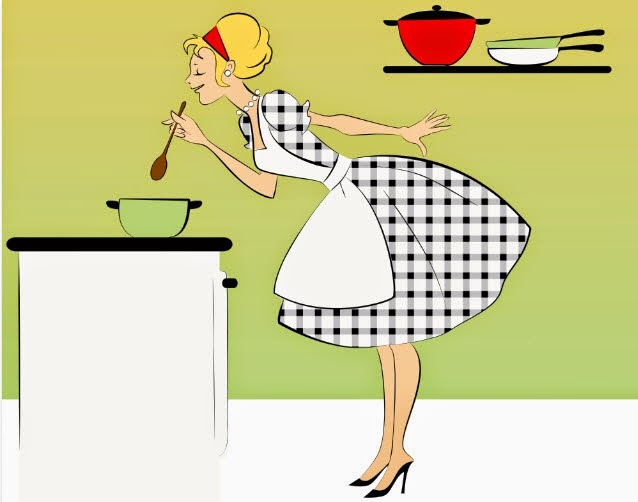 Be sure your hands are washed and that all your containers and sterilized (just run them through the dishwasher). Here's what you do-- Pour a quart of raw milk into a sauce pan and turn the heat to medium. Stir the milk, watching carefully, and checking the temperature frequently with your thermometer. When the temperature reaches 105 degrees, pull the pan off the heat immediately. Do not allow the temperature to rise above 110 degrees. Stir a package of gelatin into the yogurt. You'll need to stir this continuously for over a minute, maybe two, or it will not dissolve fully. If you don't add the gelatin, you'll be making kefir which is basically a liquid yogurt. Stir in the tablespoon or so of commercial yogurt to add additional probiotic cultures. By the way, if I have several yogurts or kefirs in my fridge, I'll add a tablespoon from each one. I figure, the more cultures, the merrier! Pour the milk mixture into its final container and place it inside the cooler on a towel and close the lid. Now go back to the stove and bring a pot of water to a boil. Remove it from the stove, open the cooler, and place this pot inside next to the yogurt. Close the lid. Every eight hours or so take out the pot, bring the water back to a boil and put it back in the cooler. It takes a day or so for the yogurt cultures to become fully activated. Check the yogurt to see whether it tastes like yogurt or milk. You'll know the difference. When it's yogurt, it will still be runny, but that will change once it gets into your refrigerator for a while and the gelatin has a chance to go into action and thicken up. One last thing to know-- The next time you make yogurt you can add the cultures from this batch to your milk, but be sure to always add commercial cultures from store bought yogurts or kefirs, too. The cultures in your yogurt tend to become ineffective after a use or two. You want to keep re-introducing the live cultures. Eating fermented and cultured foods is one of the best things you can do to increase your health. And best of all, home-made yogurt tastes great. One of my favorite tricks is to put some yogurt in a bowl and stir in some cocoa powder, a splash of vanilla extract and a teaspoon or so of Coconut Nectar. Stir that all up and top it off with walnuts or fresh berries. Yum! Plain home-made yogurt drizzled with Coconut nectar and topped with walnuts. I don't ever use gelatin in mine and it is still yogurt. You can replace the gelatin with a 1/2 cup of milk powder, preferably organic. I'm in the Mood for Soup!